John Emery Rail Heritage Trust – THANK YOU! A huge THANK YOU to the John Emery Rail Heritage Trust for granting our museum $10,000 for the continued restoration of our Chicago interurban car 315. This is the third grant we have received from this Trust and we appreciate their continued support. John Emery was a long-time Chicago resident who was an avid rail enthusiast who loved to ride trains around the world, and wanted to help preserve rail equipment and infrastructure that will allow future generations to share his experiences during what he considered the “Golden Age” of railway travel, from 1920 to 1960. We are very grateful for the support from the John Emery Rail Heritage Trust for their continued support of our Aurora Elgin & Chicago interurban car 315. We’ve come a long way on the restoration of car 315, but we still have quite a bit of work to do to be able to complete the restoration. We are looking forward to seeing a great deal of restoration progress on the car this year. If you are interested in restoration or maintenance work, become a volunteer on the car 315 team. 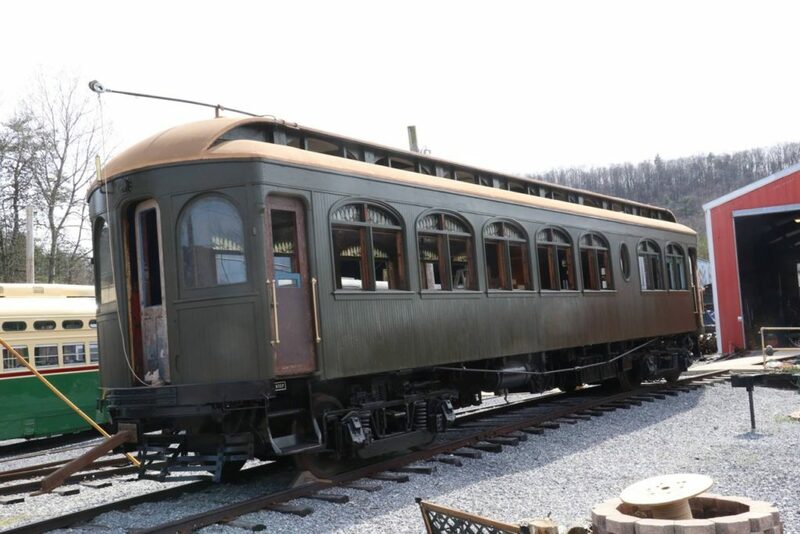 The Rockhill Trolley Museum, located at 430 Meadow St., Rockhill Furnace, PA 17249, has been granted $10,000 from the John Emery Rail Heritage Trust in Illinois towards the restoration of one of their unique cars, the Chicago, Aurora & Elgin wooden interurban electric trolley Car 315, built by the Kuhlman Car Company in Cleveland OH in 1909. Ornately decorated with stained glass windows and fine woodwork, it was built to reach 80 miles an hour. The Rockhill Trolley Museum acquired it in 1961 and it has been one of their most popular operating cars. 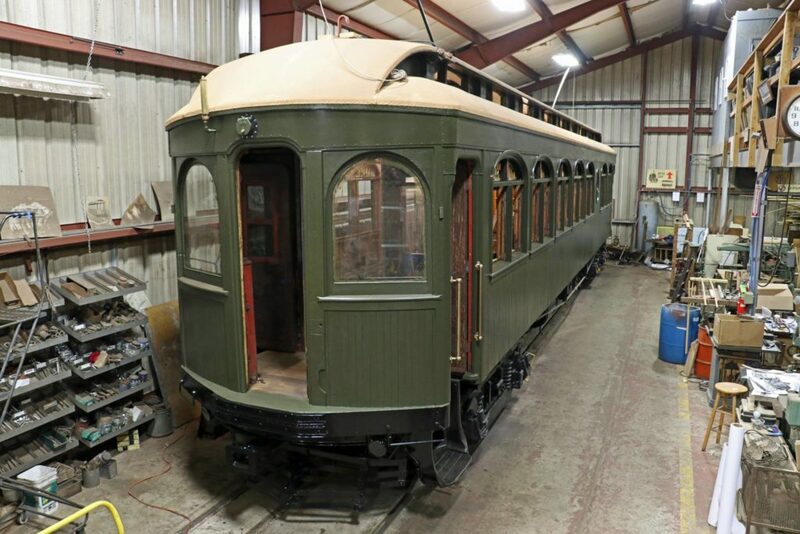 Interurban car 315 is currently being restored to the condition it was built in 1909 through the 1920’s. Museum President, Joel Salomon, explained that Car 315 is an excellent example of the grand splendor of interurban travel experienced at the beginning of this century for everyday people.